Friday and Saturday are the big points of the weekend for most people and basketball fans around the world were treated to some excellent displays in the NBA on Friday and Saturday. The Friday night schedule was packed with plenty of great teams and players on display. The Hornets won a tight game against the Knicks by a score of 103-102 and the Wizards had a convincing win against the Nuggets. The Hawks were strong on the road against the Nets, winning 75-98 while the Rockets narrowly won in Minnesota, triumphing by a score of 112-114. The Heat were thumped by the Bucks 109-85 and the Magic grabbed an important win in Utah, defeating the Jazz 93-98. The Thunder defeated the 76ers by a score 91-103 and the Lakers lost in Boston, going down by 113-96. The Cavs were strong in Toronto, defeating the Raptors by 91-105 and the Spurs downed Memphis by a score of 101-107. The Suns triumphed in Dallas by a score of 106-118 and the Kings won a very close affair at home to the Pacers, the score ending 102-101. Saturday night may have featured fewer games but there was still a great deal of excitement on offer. The 76ers grabbed another win, defeating the Pistons by a score of 101-108. The Rockets continued their streak, defeating the Suns by a score of 95-100. 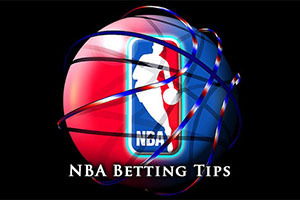 The Magic won in Sacramento by a score of 96-105 and the Golden State Warriors triumphed in Chicago by a score of 102-112. The Spurs downed the Timberwolves in San Antonio by a score of 123-101 and the Clippers were comfortable against the Pelicans, winning by a score of 120-100. The Wizards come into this a 13-5 record, including a 4-3 away record while the Celtics hold a 6-11 record, which also includes a 4-7 run at home. However, both teams come into this game on the back of a few wins, the Wizards having won 4 games in a row while the Celtics have triumphed in their previous 2 games. The 119-89 win against the Nuggets on Friday ensured that the Wizards are enjoying their finest start to a campaign since 1974. Kris Humphries delivered 20 points, a season best but six players in total managed to grab double figures in the game, indicating a show of strength all across the court. Back to back victories against Detroit (by a score of 109-102) and the Lakers (113-96) has given the Celtics a greater level of confidence and the sight of Rajon Rondo offering 12 points, 16 assists and 8 rebounds will have been well received. Mind you, with Tyler Zeller grabbing 24 points, there were a few players on form for the Celtics. Nene Hilario and Paul Pierce are causing concern for the Wizards, even though Pierce is said to be closer to fitness for this game. At the moment, Boston are looking like being without Marcus Smart and Vitor Faverani for this game. 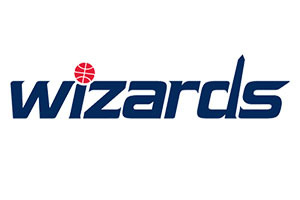 Taking the Wizards with a -3.5 handicap, with odds of 1.90 is likely to be a sensible bet, so make sure you get involved with the NBA betting action on Sunday. Bet Now! 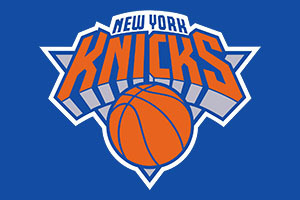 The Trail Blazers can boast of a 15-4 record, with a 5-2 record away from home, while the Knicks hold on to a 4-17 record, which includes a 2-8 standing in New York. The Trail Blazers have a winning streak of 3 behind them while the Knicks are on a losing run of 7, so they will be desperately keen to make an impact to this run as soon as they possibly can. The Trail Blazers haven’t been great defensively on the road, but this is likely to be a game where they can improve on their record. The Knicks have been poor in their last couple of games without Carmello Anthony but it is believed that he is ready to make his comeback, which should be great news for all concerned with the Knicks. Both teams are keeping an eye on their players with JR Smith being monitored by the Knicks while the Trail Blazers are monitoring Damian Lillard and Dorrell Wright, although there are bigger doubts over the fitness of Will Barton. On current form, it is hard to see beyond the team from Portland but when you take on board that the majority of New York’s losses have been by less than 7 points, taking the home team with a +7 handicap with odds of 1.90 is likely to be of benefit for anyone looking for some Sunday basketball betting action. Bet Now! The Heat are currently holding a 9-10 record with a 5-4 record away from home while the Grizzlies hold a 15-4 record, with a 8-1 status at home. Both teams however are on a losing run though, with Heat having lost their last 3 games and the Grizzlies having lost their previous two games. Something has to turn for one of these teams on Sunday, and there is plenty to play for in Memphis. Dwyane Wade and Chris Bosh were both on form in the Heat’s last game, a 109-96 loss at the Bucks, with Wade grabbing 28 points and Bosh picking up 21. The problem was that no other Miami player grabbed more than 9 points in the game. On Friday night, a 22 game winning run at home ended for the Grizzlies as the Spurs grabbed a big away day win. Marc Gasol provided 28 points but was playing through a knee injury, and in the end, his team feel short. The Grizzlies are keeping a close eye on Marc Gasol while the Heat are monitoring Luol Deng and Danny Grangers while there is a chance that Norris Cole will be absent. The game can go either way, although there is an expectation that the Grizzlies will grab another win. Taking the Heat with a +8.5 handicap, with odds of 1.90, is likely to pay off. Bet Now!